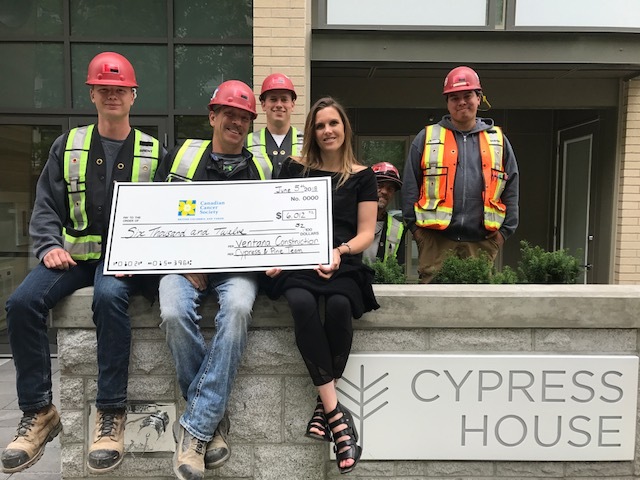 Mini Load Disposal had the honor of participating in Ventana Constructions Team efforts at the Cypress and Pine site to raise money for the Canadian Cancer Societies, BC & Yukon Division. On behalf of Mini Load, our team would like to thank the Ventana Construction Cypress & Pine team, and the Canadian Cancer Society BC & Yukon Division for allowing us to be part of this journey. This entry was posted in Disposal Bin News. Bookmark the permalink.